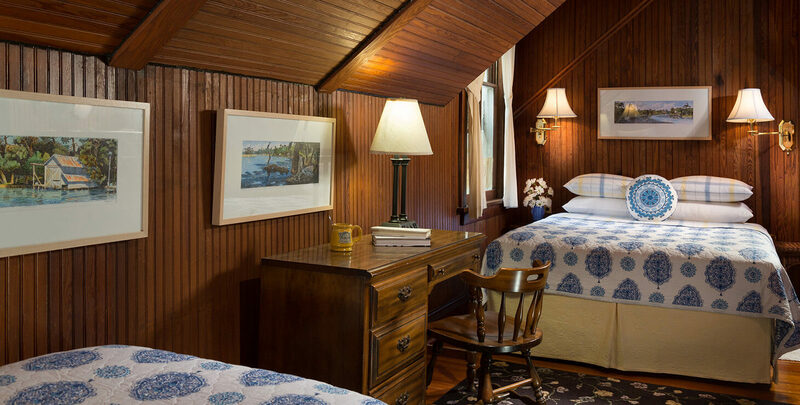 The upstairs Cowen Room at our romantic B&B near Fairhope, Alabama is a beautiful unit that boasts a queen and twin bed. This spacious and beautifully appointed room is optimal for two people. When one wants to go to sleep and the other wants to stay up and read or watch TV you just move to the other bed. Even better the room is suited for three people in a group or family that wants to share one room. This room is also great for business travelers or anyone wanting desk space to work. A warm and relaxing peace will wash over you as you enjoy this space, tastefully decorated with artwork and amenities that only add to the experience. *All rates are based on double occupancy and an additional person fee is $40 per person, per night.